Once community guidelines are set and the framework is in place, communities could run on its own, while the founding members or the moderators step into a facilitating and guiding mode. 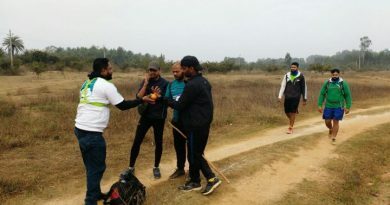 In a similar way, Road Thrill: Community had its first overnight biking event completely organised and coordinated by its now flagship members Rahul and Nima. When we as the admin team required more hands to drive things for Road Thrill, our dear members took the complete initiative for this event and have executed it meticulously. 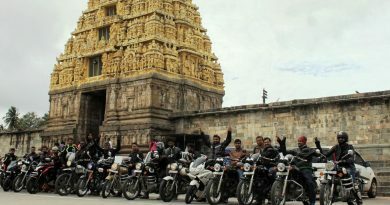 Right from location selection, itinerary preparation, bookings till the point of ride dispersal all things were managed by the duo and we were just any other participants who had some of our best moments from the ride. I just remembered it was more than one and half year since I had a free spirited ride like this, where it was just ‘me and the bike’, no group to manage, no break downs to address, no need to track things as per the schedule, no dependencies and nothing. Big thanks to the organisers for this ride which later turned out to be one of my best rides so far after the Endurance Ride in May 2014. With some jugaad and adjustments for the trip, me and Tudu have started on his bike at 5:30 PM, with 300 km to be covered. Route: Bangalore – > Nelmangala -> Kunigal -> Hassan -> Belur -> Chikmagalur – > Bhadra (Route Map embedded). Thanks to the GPS, and with one of us as a pillion we could navigate with ease. Three stops in between we reached our team only at 11: 00 PM – though the twisty roads, encountering a close shave with an insane trucker at 110 kph, dark and scary forest paths and off-roading. It was so dear, to see Kamal sir welcoming us at the entrance itself, when almost all our RT members were still awake and many were still waiting for us to join them for the Night Party. Thanks to Tushar bhaai’s car for making the night even more happening with all the music and the lights. Pots, music, jam and dance rocked the place till night 1:00 AM before we head into our allocated tents. Bhadra Nature Camp: Set amidst the jungles on the banks of river Bhadra, the place of stay is a perfect biker’s getaway. The long and twisty ride to reach the place ends with a short off roading to reach the resort. We could see the beautiful views of the flowing river in between the hills only in the morning and it was a bliss to the eyes. The tasty and delicious food and wonderful hospitality of the people and staff added more value to the beautiful camp. I would surely recommend this place to friends, families and also any biking groups. 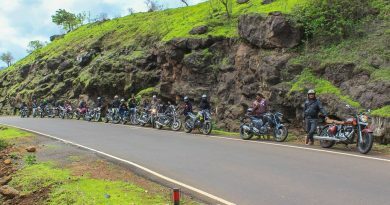 We then had to quickly re-brief the first time riding members about over takings, lane discipline andghat riding and then headed off to Mullayanagiri. Mullyanagiri: The highest peak in Karnataka and to reach the point, you need do ride through some of the crazy off road stretches and through steep roads. Even few of our bike’s brake pads were giving out smoke due to the continuous usage, which is not a good practice of braking though. They say, smart riders need to use gears to control the speeds, like me… lol. Not so safe for amateur riders or drivers. 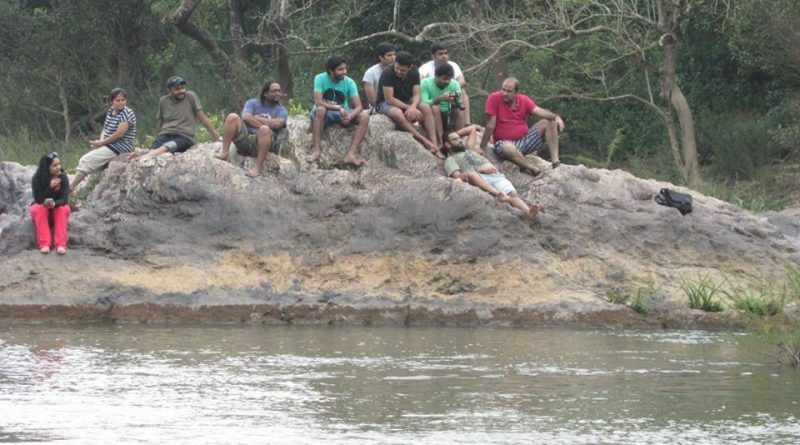 Thanks to Rahul’s recce for this Mullayanagiri trip which helped us a lot in all the deviations and for the pitstops. Now to reach atop the Mullayanagiri peak, you would need to climb 300 steps, which was not one of a lazy biker’s interest. Few of us stayed back in the shade chilling out, while others do did the trek and reached the Mulappa swamy temple located on the summit. On the same dates, there was also this FMSCI car rally happening at Chikmagalur and few of our guys headed there before our lunch. 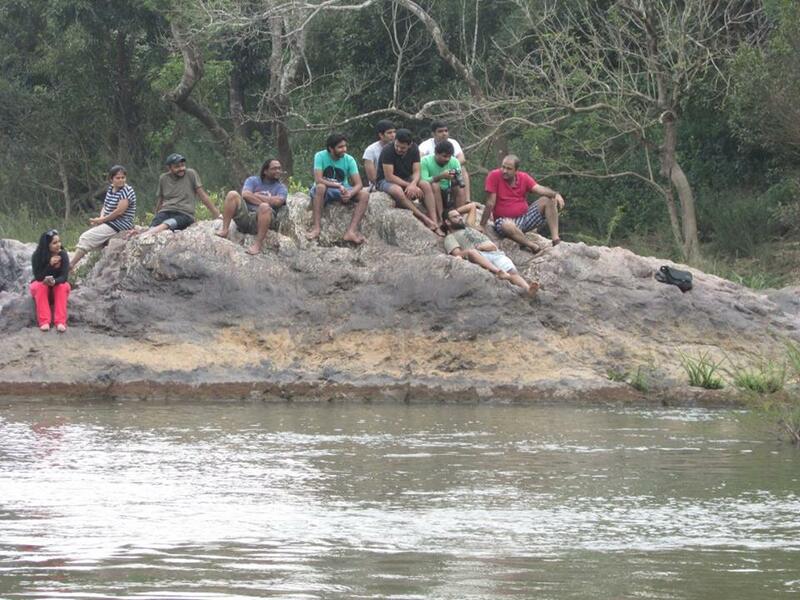 It was almost 4:00 PM and it was already time to bid adieu to the group after Mullayanagiri. All right, seeing our team we have again last minute decided to continue the ride and are left with two interesting destinations in mind. 1) Dharmasthala and Manipal to get into come clubbing and 2) Gokarna to laze around the beaches. Things and experiences during this trip extension was again another killer adventure… And then ‘Our Ride Continued. Stay tuned for the following blog… ‘The Other Side of Gokarna’! !